Call center software’s or customer relationship management software provides solutions that help call centers agents access the right information and knowledge about a customer’s history to improve the overall customer experience. Call centers and various other companies’ use call center software for marketing, customer support, and other purposes. This software can manage multiple communication channels including phone, email, live chat, instant messaging, SMS text, and social media. One can avail Best Call Center Software that is offered in various types including an auto dialer, call center monitors, call accounting solutions, call analytics, predictive dialer, computer telephony integration (CTI), interactive voice response (IVR), and automatic call distributor (ACD). Call center managers seeking to be the best-of-the-best must leverage the most progressive Call Center Management Software from the market. 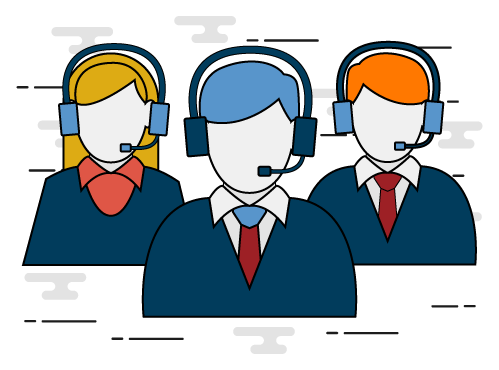 To choose the best call center software they need to know certain things such as it must have a feature called call monitoring which allows managers to listen in on live calls without the agent or caller knowing. It must have call center software tool Whisper coaching that allows call center managers to help their agents and a Call barging to help customers talk with managers etc. Click 2 Call Service enables businesses to enhance leads by converting your website visitors into sales leads. This service allows interaction between right customer service agent and website visitors, instantly. It serves as an efficient customer service provider that helps in improving sales conversions and online marketing campaigns. It is a powerful feature that can easily be installed on the website to instigate click to call service that allows your visitors to easily get in touch with you so that they can ask their queries or gain information about the service or product they are interested in.